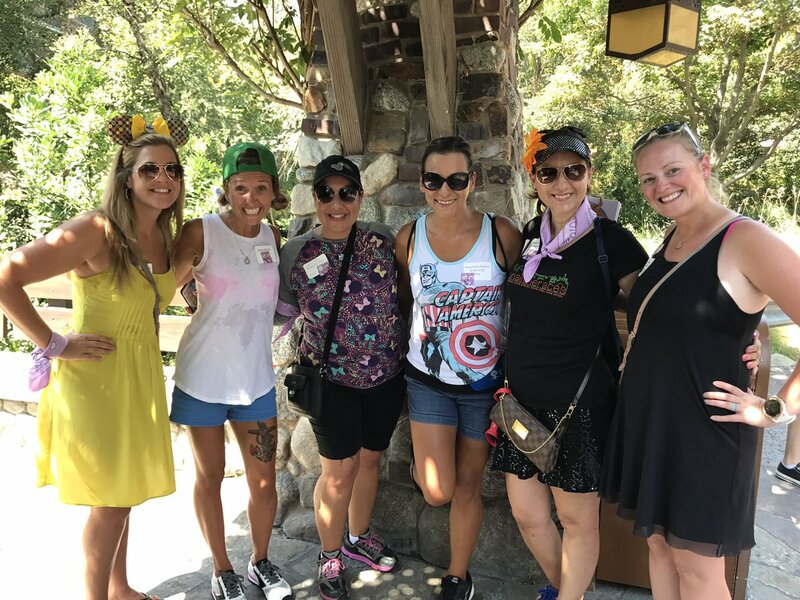 A couple weeks ago I received an email from the AMAZING folks at Cigna, an American worldwide health services organization and the runDisney Disneyland Half Weekend title sponsor, asking if I wanted to participate in an exclusive blogger meet-up. Uh... HECK TO THE YES! I've been lucky enough to have been invited the past few years (you can read my recap for the 2015 shindig HERE and the 2016 bash HERE), so knew it'd include friends, fitness and fun. Since I was already planning on being in the Disneyland area for the Sparkle Athletic Donut Meet-Up, this would work out perfectly. This event was set to kick off at noon on Friday in one of the ballrooms at Disney's Grand Californian Hotel & Spa and then transition to Disneyland California Adventure for "Cigna's Great Race". As you could see from the previous recaps (hopefully you read them), each year is a bit different. In 2015 we participated in healthy cooking demonstrations and in 2016 we got active by playing a ton of games (along the lines of 'Minute To Win It' style challenges). 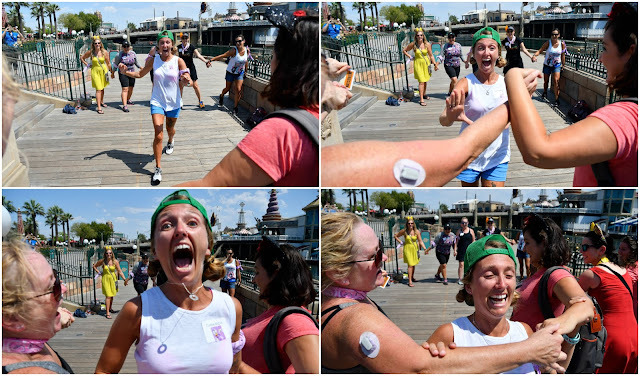 I remember following along on social media when some of my blogger friends did something similar at the WDW Marathon Weekend, so I was interested to see how this "race" would play out. But first... FOOD! I appreciate that they asked about dietary needs in one of the emails they had sent, but was a little bummed the only differentiation for vegetarian was being told "don't eat the meat". Some lettuce, a piece of bread with a slice of cheese and a smear of mustard (with a pickle spear on the side) would have to do. Thankfully Kimberly (@kimberlymarkey) was on Team Daisy and had done something similar at the WDW Marathon Weekend so we deemed her team captain and she gave us the low-down. There'd be a bunch of different tasks we'd need to accomplish. We would need to decipher the clues and solve the puzzles to figure out where we would need to take pictures or what we'd need to bring back with us. She tasked me with Twitter (we had to tweet out all of our answers with specific captions throughout the race). She assigned Heather (@heatherruns13.1) the responsibility of the signs we needed to have in our pictures. Penny, Jenn and Jackey (@joyful_miles) were going to help with brain power. Once we had a few minutes to get a game plan in place (and visit the potties... because #hydrating), it was time to start! was sweating... HOW COULD THIS HAPPEN?! Most of the puzzles we did on our own (and surprisingly we didn't see many of the teams around the park as we went), but there were a few activities we had to do with other teams... like playing Red Rover or doing our favorite yoga pose. There were a couple of the clues that stumped us for a good amount of time, but they couldn't hold us down for long because our teamwork was FAN-FREAKIN'-TASTIC! We were rockin' and rollin' through our list of riddles! hats for sun protection and told us to be ALL EARS when it comes to listening to our bodies. We even got to grab a couple character shots along the way (we were supposed to be acting out exercises with them... and, lucky for us, some of them even played along!). Once 2:15pm hit, it was time to meet up with everyone else, head back to the air conditioning (which couldn't come fast enough or be cool enough) and count up the scores. Team Daisy had completed all of the tasks, but we weren't sure how everyone else did (we probably could have been checking in on Twitter to see updates, but we had so little time and so much to do that we didn't really have a chance to check). We knew that creativity did play a role in picking the winners, so we did our best, crossed our fingers and hoped that we did enough to come out on top. While the points were being tallied, we had two special guests... MICKEY AND MINNIE! They were even dressed up in their activewear for the occasion ;) We got to snap a couple shots with them - individual and team pictures. YAY! And then it was time to find out our fate.... Drumroll please... And the winners were... TEAM DAISY! WHOOOOO HOOOOOO! We were stoked! We even got some bling for being victorious! Then it was time for one last photo (with everyone) to cap off the event before we all parted ways with sweat stained shirts and smiles from ear to ear (the hubby and I needed to still hit up the runDisney Disneyland Half Weekend Expo). BIG props to Cigna for not only putting on the event (and sponsoring the race), but for being a company that promotes health and movement. It's been AWESOME to be a part of these meet-ups and hope to be included in future events! 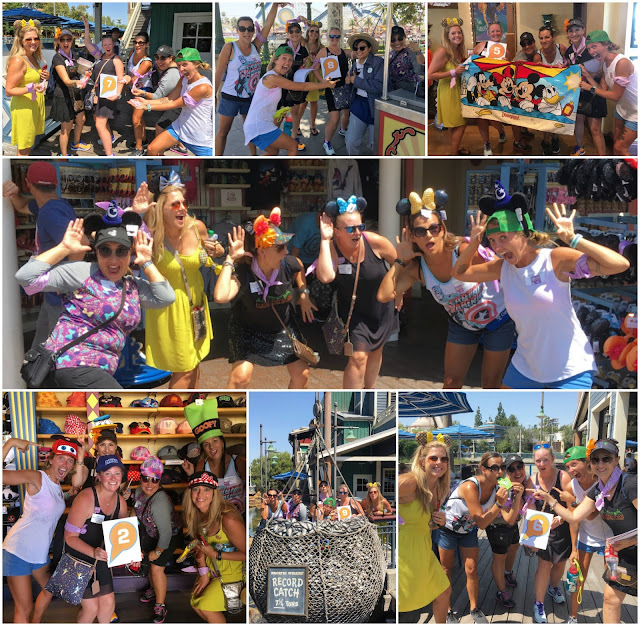 Have you ever participated in a scavenger hunt type race? These meetups are always so much fun!